This is an excellent starter package for entry level lacrosse players but there are many others out there that are excellent as well. Please try to purchase a white helmet when possible. 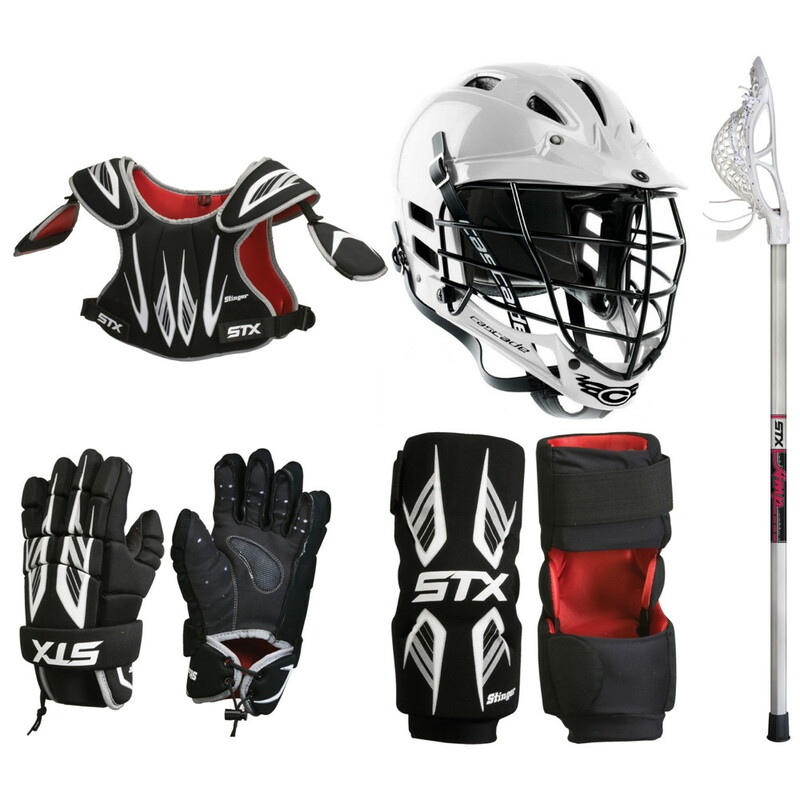 The STX AV8-U is one of the most popular and recommended choices for new lacrosse players. Open face design with 2" sidewall helps beginner lacrosse players develop proper techniques and key lacrosse fundamentals. Easy catching and ball control for any lacrosse player at all beginner skill levels. Lightweight, durable and easy to maintain with a soft mesh pocket. Cascade's new youth helmet. This youth helmet is designed for players under 12. Quick and easy fit system. Ultralight monocoque shell with Cascade protection quality and good looks. Every Cascade helmet meets NOCSAE standard. ***If you need a larger helmet, ask your retailer. Call DEEP SOUTH LACROSSE and you will receive the items the next DAY.